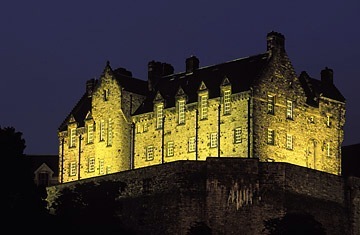 TopTenRealEstateDeals.com has the Top 10 frightening news stories on haunted homes, ghost towns and scary castles. The loud crash in the middle of the night. The lights that turn on by themselves. The scratching at your window on a blustery night that bleeds the courage from your veins. It’s Halloween, that spooky time of the year when ghosts, goblins and zombies might be just around the corner. Dracula’s Castle in Romania, scary haunted hotels, celebrity haunted mansions, and a Colorado ghost town for sale at $2 million, TopTenRealEstateDeals.com picks the Top 10 horror media news stories for 2014. Former gold mine and railroad boom towns, an abandoned amusement park, even an Alabama site that was planned as the state capitol. A look at former American boom towns that are now ghost towns. A frightening look at the world’s most haunted castles: Dracula’s Castle in Romania where the infamous vampire may have impaled thousands of his victims, the Bloody Chapel Castle in Ireland where prisoners were thrown into deep dungeons with sharp spikes protruding from the floor, and the Austrian Moorsham Castle where women suspected of being witches were tortured and killed. Uptop, Colorado was an actual ghost town when two sisters from Boston bought the empty hamlet in 2000. After years of restoration, the ghosts are gone and the sisters are selling for $2 million. The mountain location comes complete with a dance hall, train depot, log cabin, saloon and chapel. What happens when a house that was the site of a gruesome murder or suicide goes on the market? NBC has the details on the Oscar Pistorius, Mary Kennedy, Sharon Tate, Jeffrey Dahmer, Nicole Brown Simpson, Heath Ledger, JonBenet Ramsey and Amy Winehouse death homes. Murders, suicides and mysteries are at the center of haunted hotel legends across the United States. Glamorous hotels including the Biltmore in Miami, the Parker House in Boston, the Shoreham in Washington, D.C. and the Bourbon Orleans Hotel in New Orleans are upscale hotels that offer their guests the possibility of a ghost experience. Some celebrities seem to have it all. Money, fabulous jewelry, great cars and haunted homes. Nicolas Cage and Anne Rice both lived in haunted homes in New Orleans and Loretta Lynn’s Tennessee plantation home has several ghosts including the spirit of a Civil War soldier. Some people say that Marilyn Monroe’s ghost can be found at the Brentwood, California home where she died in 1962, and Lucille Ball’s ghost yucking it up at her long time home in Beverly Hills. America’s spookiest, scariest, bone chilling homes in the United States. Homes of serial killers, celebrity suicides, Amityville Horror, Lizzie Borden, abandoned castles and other homes of ghosts, monsters and demons. Frank Stranahan moved from Ohio to the New River area, now known as Fort Lauderdale, as a young man in 1893. He became wealthy as a land owner building a thriving trading post, the area’s first post office, and the Stranahan House. However everything collapsed in the 1920s and Stranahan committed suicide when he tied an iron gate around his head and drowned in the river in front of his home. His home is now a haunted museum with up to six ghosts in the middle of the upscale Fort Lauderdale condo corridor. Tour five historic haunted homes including a Civil War hospital in Virginia, Andrew Jackson’s Tennessee mansion and the Stranahan House. A look at ten scary movie homes including the English manor Bly House from “The Innocents,” the Colorado Overlook Hotel from “The Shining” and “The Amityville Horror” home. According to a Realtor.com survey, 62 percent of Americans would consider buying a haunted house. Visit TopTenRealEstateDeals.com for more celebrity, historic, famous and ‘spooktacular’ homes for sale.